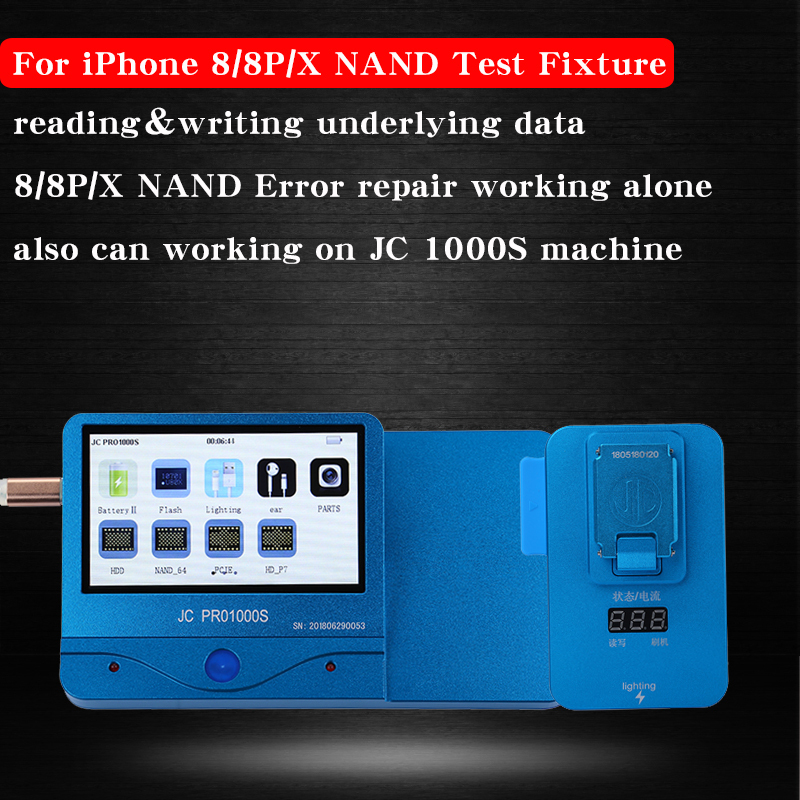 JC Pro1000S Multi-Function NAND Programmer PCIE NAND Read Write SN Repair for iPhone X 8 8 Plus Error Repair Tools	JC PCIE-8 NAND Test Fixture is the iPhone 8 8P X NAND underlying data Programmer,NAND Test fixture is designed to Change for iPhone NAND underlying data/Serial Number (SN) / Model / Country / Color modification, Repair iPhone 8 8P X NAND error, Expand iPhone 8 X NAND Memory Storage, This PCIE-8 module also can working on JC pro1000S machine. 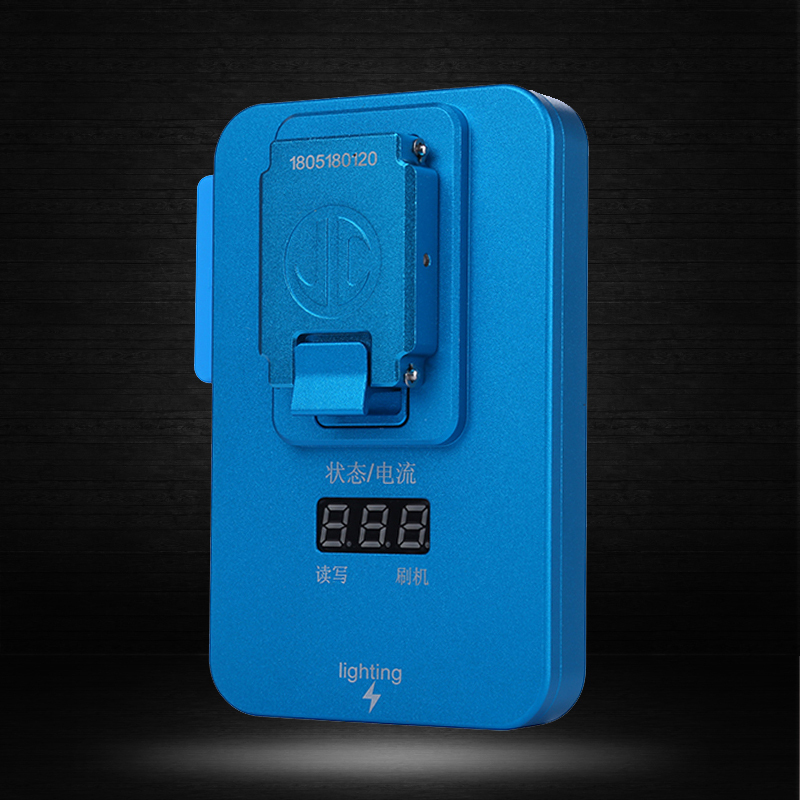 New Design : No internal battery, power supplly by usb data calbe Feature:	–HD capacitive touch screen –Free ROTS Operating system	–Support SD USB Communication	–Support Chinese and English	–Direct online, offline	–Support APP download	Function:	1:Don’t need Boot Nand Flash, easy to use. 2:Support for iphone 8 8P X NAND models: SN, country, color modification. 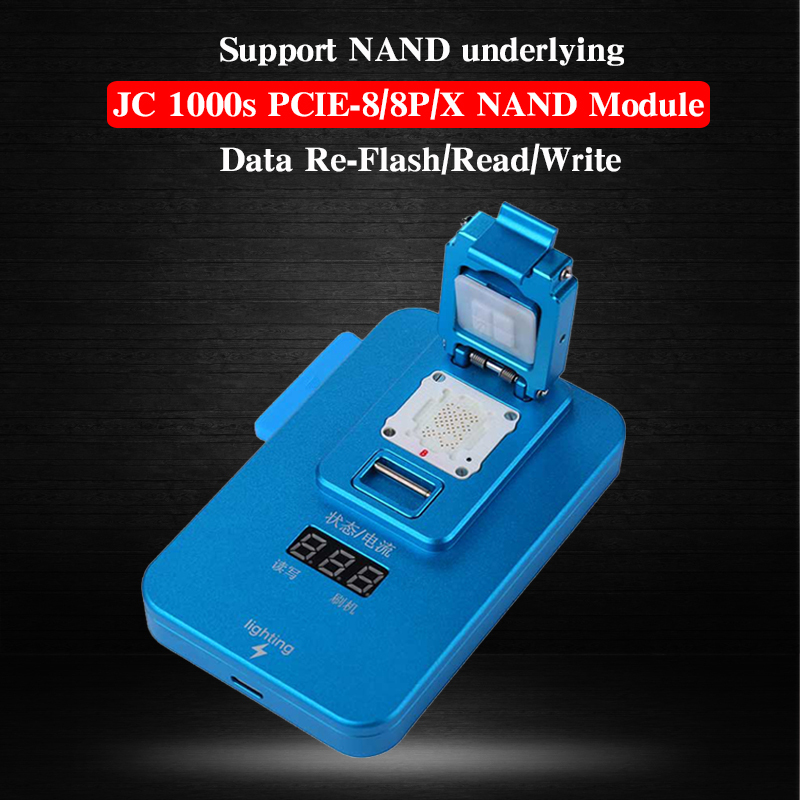 3:Nand Flash capacity expansion or repair. 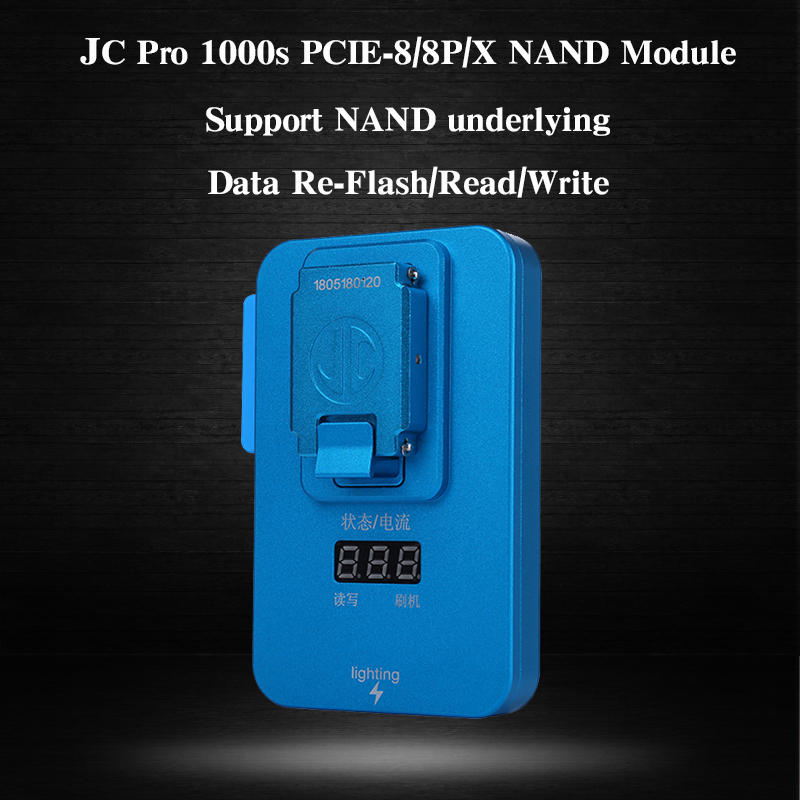 Expand your for iPhone 8 8P X Memory flash storage	4:Batch / Mass Burning NAND, Fast and convenient	5:Modify Nand underlying data. Kernel data file repairing	6:Support Wifi underlying data repairing, remove WIFI Binding problem, changing WIFI IC anywhere	7:2 kinds mode: reading / writing mode, flashing mode. 8:When the Nand direction have error, automatic alarm, don’t damged machine. 9:Fast testing Nand problem, good or bad? 10:Support the functions updated and extended in future.